Once again, the city is giving those with parking tickets the opportunity to pay off their fines with toys. 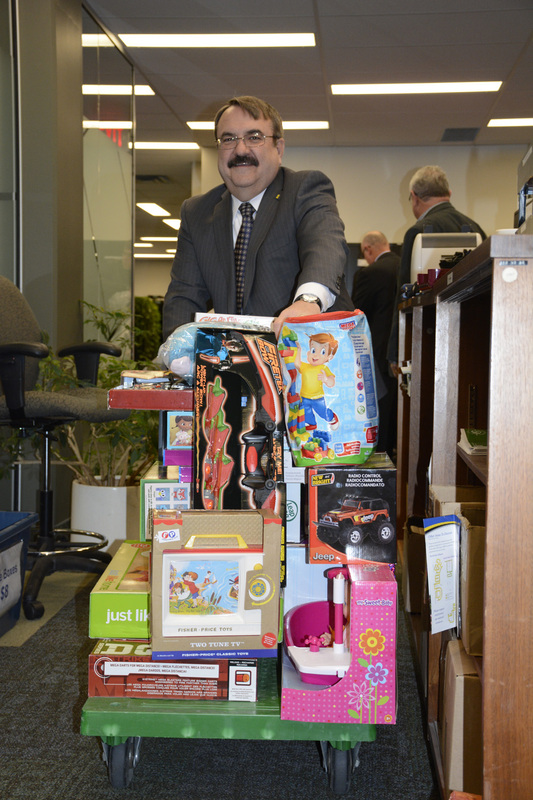 Between Dec. 10 and 11, Service Oshawa will accept new, unwrapped toys of the same value as the ticket in lieu of other payments. The offer is applicable for those who receive a parking ticket between Nov. 28 and Dec. 11. Toys will be donated to the Durham police’s food and toy drive. This offer is not available for those receiving tickets for parking illegally in accessible spaces or for unauthorized parking. Located on the first floor of city hall, Service Oshawa will be open from 8 a.m. to 6 p.m. on both days of the drive. “This is an amazing opportunity to turn a ticket into a special gift for a child this Christmas and gives residents an opportunity to give back to those who need it the most,” states Councillor Amy England, the chair of the corporate services committee, in a news release. First introduced in 2006, the toys for tickets program has collected and donated more than $20,000 worth of toys for children in need. Previous PostSeeing Home Through the Eyes of a ChildNext PostHow Many Boxes Will I Need When I Move?